"Roadside Romeo" spins the tale of a rich, cool, spoilt brat of a dog who is abandoned on the streets and now needs to fend with problems the likes of which he has never faced before. It features the voices of Saif Ali Khan, Kareena Kapoor and Jaaved Jaaferi and utilise state of the art computer animation done entirely in India. 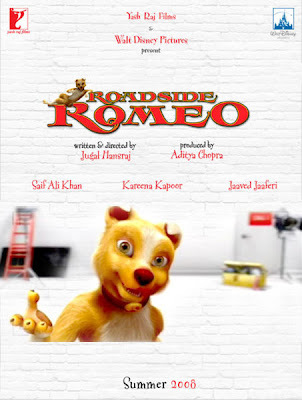 Written and directed by Jugal Hansraj, "Roadside Romeo" looks set to be a landmark in Indian cinema.